Stretch your decorating budget by using this library of free printable botanicals to make your own DIY wall art! One of the easiest ways to save money when decorating your home is to make your own wall art. Frames with removable backs are readily available at craft and discount stores. You can even purchase already-cut mat boards. Finding free art that you can print yourself, and that matches your decor style, can take some searching. That’s why I offer a library of free printables here on my blog. In addition to that, there is an exclusive, members-only library that contains more printables that are not available to the general public. 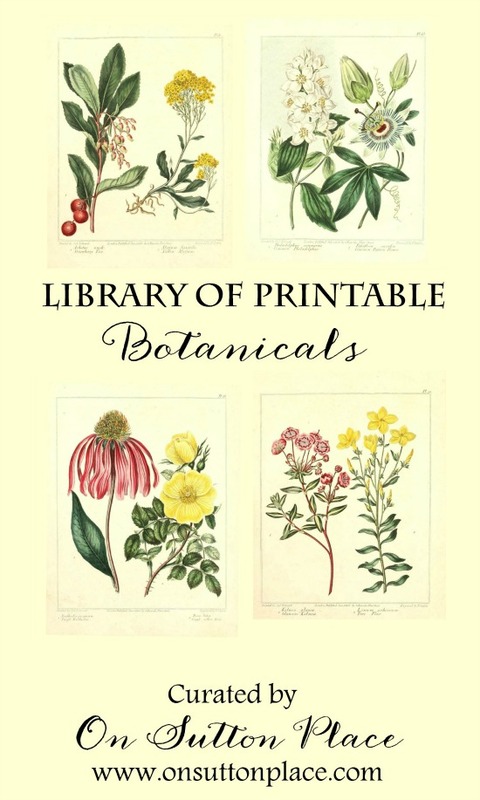 A recent addition to my members-only library is this collection of free printable botanicals. Use these high resolution printables to make DIY wall art, banners, cards and more. They make the perfect gallery wall! To get instant access to the Members Only Printables Library, all you need to do is subscribe to my email list. You will receive new posts, newsletters and special offers straight to your email inbox! To see some of the other subscriber-only offers, click HERE. 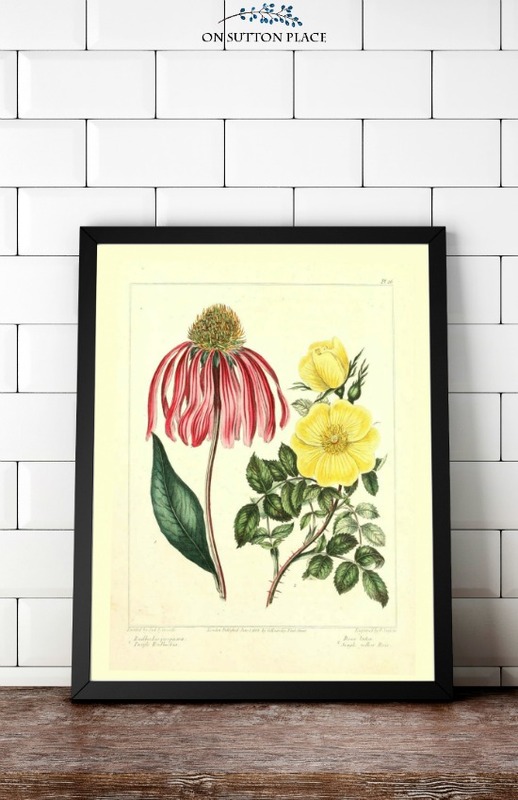 To make your own DIY wall art, simply mat and frame these free botanical printables. I recommend that they be printed on good quality cardstock. Suggestions for frames (including mat boards) and cardstock can be found in my Amazon Shop. If you are already an email subscriber, just click the Library link in my sidebar and get instant access! I’d like the botanical printable. They are beautiful! Thank you! Hi Tammy…I am sending you an email right now! Please resend a confirmation email as my initial request never came through. Thank you! Hi Nanette…I am sending you an email right now! Got it, thank you!!!! So beautiful. I’m excited to get your emails! So very excited, I cant wait. I take an herbalist class and these are just gorgeous! Thank you so much! Excited to get it all. Can’t wait to see the printables! Hi Mary and welcome! The email you received with the password is the confirmation email. I checked your account and you are all set. Thank you! These printables are just beautiful! Thank you! I printed these lovely free prints, framed them and hung on my walls. Now, I’m working on transferring a few of my favorites to covers for pillows for my sofa and loveseat. Thank you Ann for your generosity. I love your work. And, proud to be a member. Beautiful prints! Can’t wait to frame. Beautiful botanical prints! Thank you! Thank you so much for the beautiful prints. Awesome, can’t wait to use these. Thank you Nina…and thank you for taking the time to leave such a lovely comment. Enjoy the printables! I love these prints! I can’t wait to get the notice in my email that I can download them!! As always, you do the best things for your followers! Thank you and God Bless! I printed the Iris flower with its beautiful blue black leaves and it looks perfect. Thank you, Ann, for your gorgeous site and for your generosity. You have brought a lot of light into my world. What a lovely set of botannicals! I look forward to receiving them – and thank you. I AM SOOOO EXCITED! I’ve been wanting something like these forever… and these are perfect! Thank you so much, Ann! These look like just what I’ve been looking for, thanks in advance. I am looking forward to receiving your wonderful ideas in my mailbox. Thank you so much for the wonderful Botanical Prints. They are really gorgeous. I also loved the Spring one. I am a sucker for rabbits and bunnies. Look forward to your newsletters.